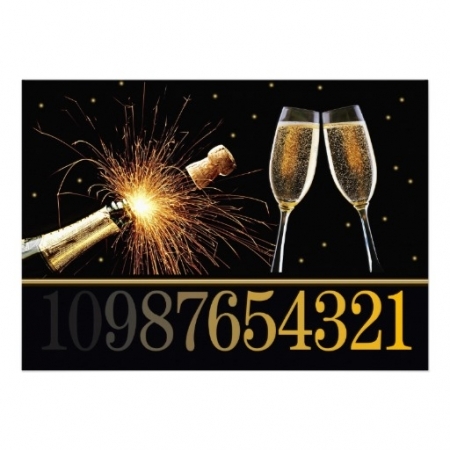 When I was a kid, my parents threw their version of New Year’s Eve parties. They’d serve 1960s crudités, meatballs and champagne, and clink glasses with a few close couples. 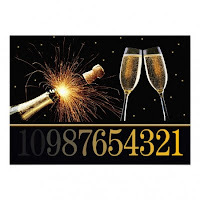 The women dressed in gold-threaded dresses, the men in ties, and both wore party hats—for at least the countdown. For extra good luck in the upcoming year, my father ate pickled herring at midnight. 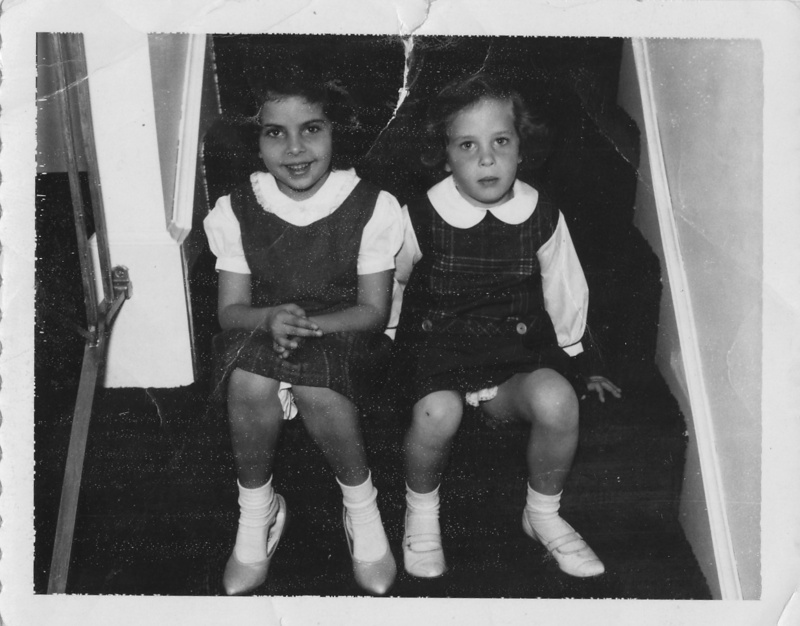 My younger sister and I sat at the top of the avocado green stairs, the same ones we raced down during the day, and waited eagerly to be invited to join the grownups for a taste of herring, a blow on the party horn and, yes, a sip of champagne. Some day, I thought, I would host my own party. Sometimes I still feel like that little girl, the one waiting at the top of the stairs. Will I ever be allowed to join the party? Will I ever publish a novel? 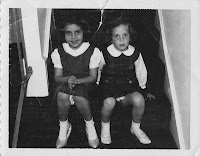 Recently I read this lovely piece by Marcia DeSanctis (thank you Dani Shapiro, for sharing the link). Ms. DeSanctis found herself at a table with several powerhouse authors and wondered if she'd earned a place in their company. I, too, have piles of rejections. I, too, have been buoyed by praise from workshop leaders and trusted authors, encouraged by query success. Yes, I’d love to be published. But I write because I love to write, not because I think it will make me rich or famous or accepted at the powerhouse author table. Not that I wouldn’t be happy to be there as well. I'm not great with New Year’s resolutions, mostly because by the end of February, I’ve forgotten what I’d resolved to do. Even so, I finish what I start, am diligent about deadlines and I work hard to accomplish a goal, even if I’m unsure of the steps to get there. Eventually the elusive answer appears, eventually the sentence reads true. But I know to keep a resolution, it must be something in my control. I just read Donald Maass’ article Failure to Launch in Writer’s Digest. “Why do so many published novels fail to sell—and what can you do to keep your book from becoming one of them?” Authors who languish on the shelves with mediocre sales should not blame the publishing industry or a bad cover or unfortunate spot in the bookstore, Maass writes. Rather they should focus on what they can control: writing strong voices and complex characters facing their deepest fears. “Runaway success comes from great fiction, period,” he says. I know his words apply to unpublished manuscripts, too. There are times I doubt there’s a spot for me at the grown-up party. I can’t control the publishing industry or force an agent and editor to love my book. But I can resolve to keep working diligently, read amazing novels by both friends and idols, dig deep to create unforgettable characters and write until my sentences speak truth and beauty. I can position myself with a noisemaker, champagne glass and delicious meatballs. And wait to be asked to join the party. About a month ago, there was a video that went so viral it even reached my Luddite-like ears and eyes. A little girl sitting in a car seat en route home from preschool was told by her mother that Mom had eaten all her Halloween candy that day. The little girl's eyes welled, her throat showed signs of several swallows, and after about thirty seconds of incredible self-control, the little girl told her mom it was okay. "Are you mad?" the mother asked. "I'm not mad. I'm just sad," the little girl replied, and offered up a brave and recognizably real grin. The mother kept pushing her for several minutes (what? It's not bad enough you ate the kid's candy and didn't bother to hit Walgreen's to replenish? You have to keep asking over and over if she's mad? ), and the little girl repeatedly assured the mother that she wasn't mad at her. "I'm just sad." Wow. If I remember correctly, the tag line for the video was something like "mature 3-year-old forgives mother." I'll say. I shared it with my children, who were equally impressed with the kid. Not so much the mother, though, not any of us. Last week I watched another video on my computer. 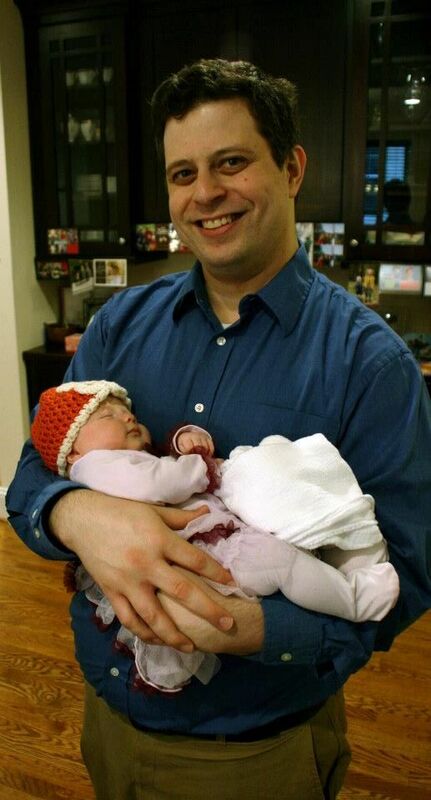 It was an interview with George Hochsprung, the husband of the principal of Sandy Hook Elementary School. He was surrounded by four of their five daughters, hands clasped as they talked about their wife, mother, step-mother, recounted the bravery that was ingrained in the woman, leaving them unsurprised that she charged toward her death to defend others. He was mad at first, he said, for a few days. Mad at her. But then when he heard from her co-workers that she had acted to save others, his anger dissipated and he knew his wife had been true to her character. "I'm not mad," he said, "I'm just sad." I'm not by any means equating the horror of what happened in Connecticut to a bucket of lost candy. But what I am struck by is the courage some people are able to display even when injustice has been dealt them. The candy-tyke was gobsmacked by her mother's admission that she'd behaved selfishly, and the nation was gobsmacked by the horrific actions of a disturbed individual, and this man amongst those most affected. Yet both of them, to their eternal credit and my enduring admiration, were able to look up at a camera through their tears and get past anger to mere sadness. We talk about characters, character traits, characterization in our writing. This was, in both cases, simply character. I am awed by the power of some humans to rise above what so many of us would sink under. And as a writer, what I hope to put on the page are words that will hopefully inspire others to even a single degree of how inspired I felt by the courage of these two people, young and old, who can look into the face of unexpected tragedy (large and small) and still find forgiveness for those they love. As writers, we like to think of ourselves as wordsmiths. We may not know more words than the average Joe, but hopefully we're more adept at stringing them together. Again, so we hope. Me with my two older siblings, Pete and Gretchen. As I stood in my kitchen today, contemplating my next batch of edibles, I was thinking about words we hear this time of year: Hope, Joy, Love, Peace, Faith. Yesterday in church our pastor reminded us that our Christmas, his Christmas, your Christmas may not look like Christmas for those living near us. While my family enjoys good health, others may be recovering from illness. While I have my children with me, others will celebrate miles apart--or, tragically, have just laid theirs to rest. So while JOY may be elusive this season for you. And PEACE on earth is really only a lovely, yet unattainable goal. My Christmas wish for you is that you might have HOPE. Hope that tomorrow will come and bring challenges you're determined to overcome. Hope that you find laughter in unexpected moments. Hope that all you need will be provided. Hope that every day you are reminded just how wonderful life can be. Again, for these things, so I hope. Are you looking for something great to read over the holidays (or next year)? The contributors here at What Women Write have some recommendations for you. Here are our top picks for 2012. This was the year I discovered author Alyson Richman, and quickly devoured everything she has written. 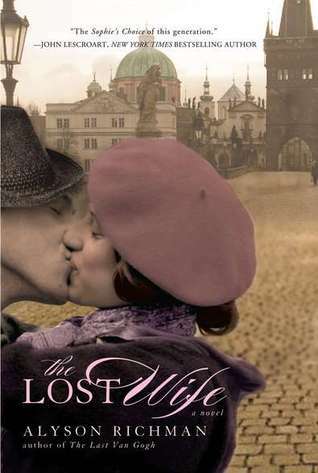 Here is my review of her unforgettable novel, The Lost Wife. The Last Van Gogh and The Rhythm of Memory were also fabulous. I will read anything she writes. The House at Tyneford by Natasha Solomons. You’ll see a link to Joan’s review of the novel in her list. We agree on a lot of books! The Kitchen House by Kathleen Grissom. This novel is about a young Irish girl who was brought to a plantation as an indentured servant and raised by the slaves. It is amazing. Have tissues handy! I nearly threw the book across the room once because I was so infuriated by one of the characters. Yes, I cared that much. See my review here. Bridge of Scarlet Leaves by Kristina McMorris – A white woman marries a Japanese man on the eve of Pearl Harbor and follows him when he is interred in a relocation camp. I could not put this book down. The Paris Wife by Paula McLain – This novel tells the story of Ernest Hemingway and his first wife, Hadley Richardson, mostly during their time in Paris. The book was engrossing! Are you a Hemingway fan? The Paris Wife will cover the beginning of his relationship with his second wife. If you want his story to continue beyond the scope of that novel, check out Erika Robuck’s Hemingway’s Girl, which is also well worth picking up. 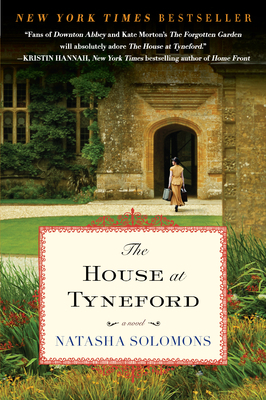 The House at Tyneford – Natasha Solomons, a glorious cross of Downton Abbey and The Guernsey Literary and Potato Peel Society. See my review here. Birds of a Lesser Paradise – Megan Mayhew Bergman, needle-sharp prose with wit and charm and raw truth. See my review here. The Weird Sisters – Eleanor Brown, three quirky sisters in a book loaded with Shakespeare themes and quotes. Splendid. The Light Between Oceans – M.L. Stedman, picture perfect plot with flawed, tragic characters. See my review here. The Unlikely Pilgrimage of Harold Fry – Rachel Joyce (interview set for Dec 31). By the middle of the book, you'll want to hop on a plane and join Harold traversing the English countryside. 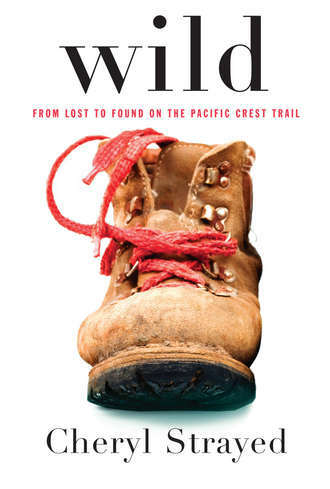 Cheryl Strayed - Like a whole lot of Americans--including Oprah, who reinvented her book club because of this memoir-- I fell in love with Cheryl Strayed's raw honesty and beautifully powerful writing this year. I can't recommend Wild enough. At the same time, I adored Tiny Beautiful Things as well, her compilation of advice columns written as Dear Sugar, from therumpus.net. Next on my list? Her 2007 novel, Torch. Ron Rash - I started with The Cove, which is just an incredible novel. It was released in April of this year and I highly recommend it. Then I devoured Serena. (The film will be released in 2013 and stars Jennifer Lawrence and Bradley Cooper.) I ended up doing a complete study of Serena-- almost a chapter by chapter book report-- because it is so well-crafted. Ron Rash is a great southern writer, and I'm amazed more people haven't read his works. I also picked up his latest poetry compilation, Waking, which came out in 2011. He's published four collections of short stories, three books of poetry, and five novels. Thomas Merton - I've read Merton for years, and keep discovering more and more depth to this amazing monk's body of work. He published well over sixty books and hundreds of poems. A good place to start with him is his debut, The Seven Storey Mountain. Follow it up with No Man is an Island. I reread both of these books this year and really consider them to be required reading, and re-reading. After a quick glance at GoodReads, to remind myself what I’d read this year, I have a list of my favorites to include here. First I’ll start with the Hunger Games series by Suzanne Collins and say that the books certainly lived up to my expectations. Not one to often read YA, I devoured this series and fully appreciate all the buzz it garnered. My favorite middle grade book was shared with my fourth grader, and we both loved Wonder by RJ Palacio so much that we bought extra copies for her school and for friends and family. A sure sign of an awesome story. I’m in two book clubs right now and, through one, finally read Olive Kitteridge by Elizabeth Strout—great character and wonderful story-telling—and What Alice Forgot by Liane Moriarty, a lovely story of how our memories affect how we view the world and those around us. Susan recommended Cheryl Strayed’s Wild and Tiny, Beautiful Things and both top my list for non-fiction this year. Both very different stories; both gorgeous and utterly heart-wrenchingly honest. Best book-to-movie I read this year has to be The Silver Linings Playbook by Matthew Quick. Loved the movie with Bradley Cooper and Jennifer Lawrence. Loved the book even more. (If you’re looking for a book for a young adult male, this is IT! But it’s really perfect for anyone who loves a good story.) Matthew is a genius at developing a character so flawed and damaged yet unbelievably lovable and courageous. I can’t wait to read it again. Bravo! The Land of Decoration by Grace McLeen This was a dark, dark story. With a unique hook (a child creates a fantasy world—both literally and figuratively—as an emotional escape from bullying and neglect) and a believable ten-year-old narrator (though NOT a book for tweens—it was almost more than even my 18-year-old could handle emotionally), The Land of Decoration was highly accessible yet painstakingly crafted. Maine by J. Courtney Sullivan Sullivan compelled me to read about characters who weren't very likable for a lot of pages (528!) while never feeling it was a burden to do so. In fact, I began to care deeply about each one before too long. A very interesting character study and family history. Maine, to me, was reminiscent of family sagas by Rosamunde Pilcher or Maeve Binchy, only from an American perspective. Gold by Chris Cleave - I haven't read a book by Cleave I haven't loved, and this autographed copy I picked up at his Dallas Museum of Arts event was no exception. Cleave also creates characters who aren't necessarily likable and makes you care about them more than you ever imagined you might. Cleave injects each of his stories with heart-pounding suspense, and the Olympic cyclist training setting in Gold lends well to that. The Sandcastle Girls by Chris Bohjalian I was highly affected by Bohjalian's Skeletons at the Feast a few years ago, and he delivered a story on that level again in The Sandcastle Girls. The subject of the Armenian genocide hasn't been explored much in fiction, and here, Bohjalian combines meticulous research with the inspiration of his own family history to deliver a heartbreaking, unforgettable tale. I read a lot of books by friends this year. I loved nearly all of them. If I tried to list them, we'd be here all day and I'd leave someone out. HOWEVER ... I will mention one debut I absolutely loved because it releases December 25 and you should read it: The Plum Tree by Ellen Marie Wiseman. Ellen brings family history and her many personal experiences of visiting Germany to this story of an ordinary German teenager who falls in love with a Jewish boy during the Holocaust and risks her life to save him. But it is so much more than that. The Plum Tree is social commentary on collective guilt and a fascinating look at life for everyday German citizens during World War II. Ellen's prose is gorgeous, her setting notes are stunning, and her story is both devastating and hopeful. It officially releases Christmas Day, but I've heard rumors that it's popping up in stores here and there already, and it's not too late to order it in time to read it before the holidays end. I’ve had sort of a weird reading year. I know there were books I loved when I read them last winter, but as I scour my brain to remember them, I find I can’t. I know I had a frustrating stretch in the summer, picking up books that were readable, sure, but less than satisfying, and like cotton candy, taken in and then instantly gone. But I do recall that the cycle was broken when I picked up That Thing Around Your Neck, a collection of short stories by Nigerian writer Chimamanda Ngozie Adiche. I quickly hunted down a novel she’d written, Half of a Yellow Sun, and then finished up with Purple Hibiscus, which was actually her debut novel. Now I’ll read every word she writes, have thrust copies of her books into hands of strangers at the bookstore, and forced them to log her name in their phones. I sent my sister-in-law copies of two of them for Christmas. And I eagerly await whatever she writes next. At our retreat, I was treated to a great novel, The Story of Beautiful Girl, by Rachel Simon. Not only did it provide many wonderful quiet moments at the lake house, but also informed the work I was doing there in a number of ways. So that was a treat too. Now I’m finishing the year with some old favorites. I just reread two Anne Tyler novels, Dinner at the Homesick Restaurant and Saint Maybe (which was the very first Tyler I read, over 20 years ago), and as I usually do in December, am reading Maeve Binchy’s This Year It Will Be Different, a collection of Christmas stories I read at least once a year, usually seasonally. It’s bittersweet this year, as Maeve is no longer with us, but a wonderful reminder that writing secures us a place in forever. Do you have any recommendations for us? Leave a comment and tell us about them! 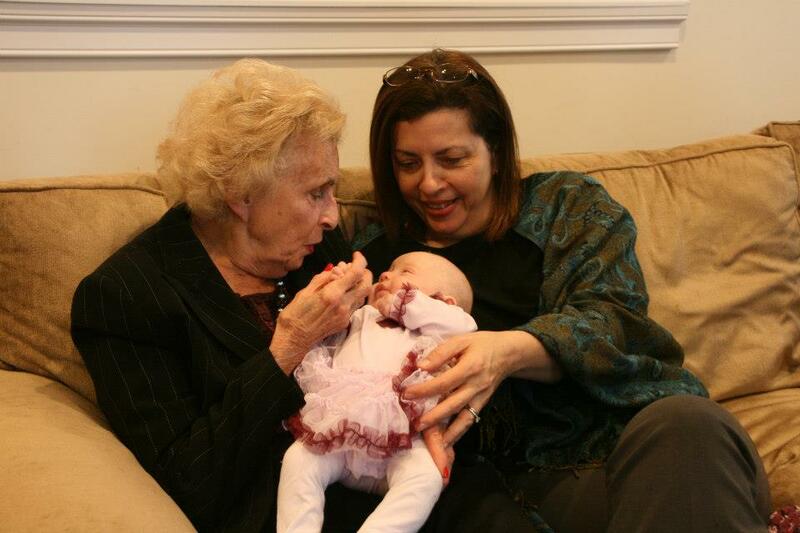 This past weekend I flew to Maryland to meet my first great niece at her simchat bat, a traditional Jewish ceremony to bless her new name and share with family and friends how it was chosen. Her father is my first nephew, the one I left a high school football game to visit in my pom pom uniform. Her first name, Alison, is for her maternal grandmother and her middle name, Monroe, for my father. When I spoke to my nephew’s wife by phone and learned what they'd named Ali Monroe (my special, great-auntie nickname), she said my nephew speaks of my father often and how crazy he was about him and this was why they chose the name. I could barely talk through my sobs, but she understood what this meant to me, what it would mean to my sisters and my mother. 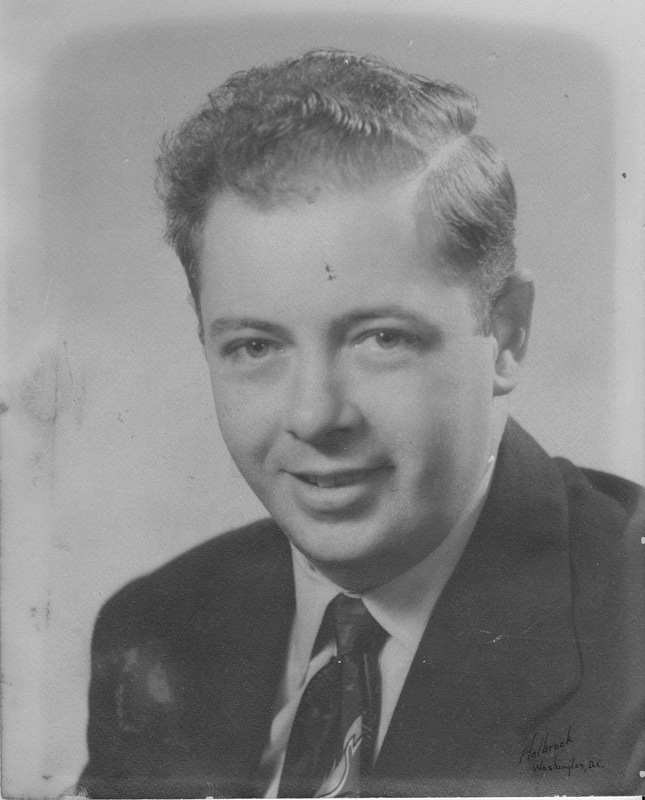 'My father, whose first name was Monroe, would have been so thrilled to meet his first great grandchild. I know that because I remember how thrilled he was when his first grandchild, Joel, was born. He took off a week from work right after Joel’s birth, and he could sit for hours at a time and just gaze at him. There was a song that was very popular at the time called You Light up My Life and every time my dad saw Joel, he started singing it to him. When Joel got to be a little older, we’d take him to Wheaton Plaza and walk him around in the stroller. He loved it when people came up to tell him how cute Joel was. “Well, of course he is…he’s my grandson!” That was his answer to everyone. So Joel always knew that my Dad was crazy about him. It’s a shame that Dad never got to meet Courtney because he would have been crazy about her as well. She would certainly have met with his approval—beautiful, charming, and outgoing. This must be one of the reasons that Joel and Courtney gave Alison the name Monroe for her middle name. Monroe the elder would have been charmed by not only her name, but by her stunning little face, her pursed lips, her bluer than blue eyes. Of his first grandson, he said, "How do you like that? After four girls, I finally got my boy!" In Ali Monroe's face I see her father and mine. An ancestral trick if ever there was one. I just did a little search on the blog to see if I've mentioned the toffee I make every Christmas, and it seems I have: in 2011, 2010, and 2009. So I guess mentioning my toffee here has become almost as much a tradition as the making of the candy itself, which I've now been doing for I guess sixteen or seventeen years. Which is a long time. Sixteen or seventeen years from now, I'll still be in my prime. I was thinking about that the other day: if I find myself an agent in 2013 (as I'd hoped to do as I stared into the rising faces of 2012, 2011, 2010...), come 2030 I could well be a relatively young woman with a stack of my own books on my bookshelf. But I'll still be me, and creature of nostalgia and habit and hope that I am, I imagine I'll still be pulling out the sugar, dumping in the butter, and cooking up the best toffee I've ever eaten if I do say so myself. I'll probably even be using the same pans. Butter. Sugar. Karo. Water. Sometimes a dash of vanilla, if I remember it. I usually add almonds, always some chocolate, sometimes pretzels or cookies or even crackers, but always the first four things, 290 degrees, and stir stir stir. And stir. Words. Plot. Structure. Character. A dash of suspense, and various other elements making each story a little different, but still distinctly me. They always say, and I heard it again the other day on a radio interview, that only you can write the story only you can write. And it's true: the ingredients might be essentially the same, but it's the way you mix it up, you the writer, me the writer, that makes it something unique and hopefully special and pray-let-it-be good. Later tonight, I plan to mix up a few more pans of toffee. As I do, I'll be thinking about my characters, thinking about my structure, and during this magical time of year, taking the time to remember that whatever the commonality of ingredients, the final product is unique to me, and that is worth something. Worth sneaking a taste, worth sharing it with friends and family, worth taking the time to get it right. The world is rife with tragedies and they return to our minds over and over again. As writers, we deal with the condition of the human heart. 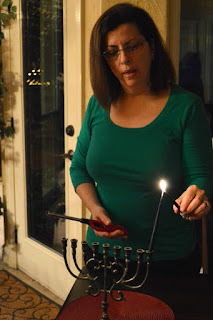 But that includes remembering that traditions and celebrations matter, they always matter, and even when the world seems frightening and sad and just so very wrong, it is traditions and joy that keep us going. As we must. As we all must. So I'm making my toffee, and if there's a little extra salt in it this year, it will still be mine, the stuff only I could make, the only way I could make it in 2012. This December started off in typical Texas fashion: 85 degrees and bright blue skies. I have to admit, I resent warm Christmas weather. 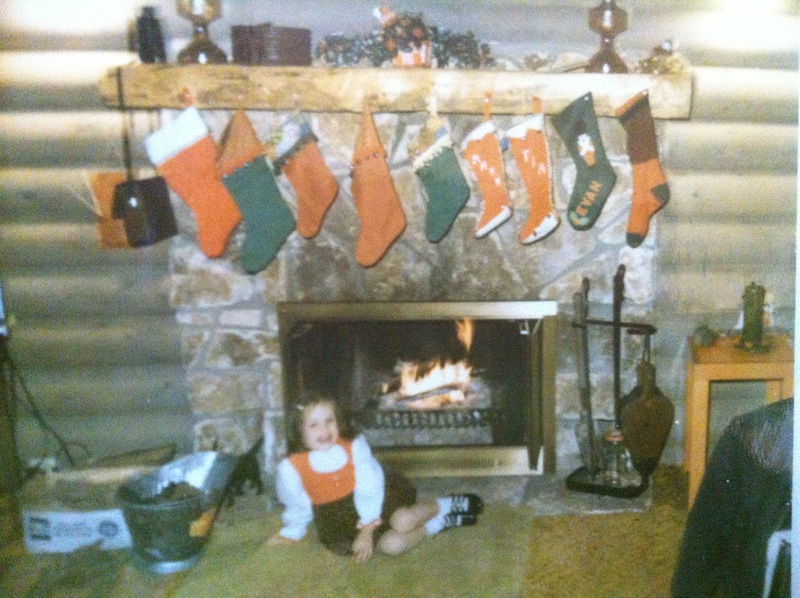 My childhood Christmases in Kentucky were cold and icy winter-wonderlands spent at my grandparents' log home, Fort Henry, perched on a mountainside above a lake, just on the edge of the Daniel Boone National Forest. We’d chop a twenty-foot pine ourselves and drag it into the house, tying it up to the walls to keep it steady. We’d often have snow; we’d always see (rein)deer. Every year my grandfather would jokingly threaten, in front of a roaring fire, that he was boarding up the chimney this year to keep “Santy” from bringing us gifts. My cousins Morgan and Evan with one of our famous trees tied to my grandfather's El Camino. And so to me, something about this time of year inherently means dashing through the snow, not big Texas heat. 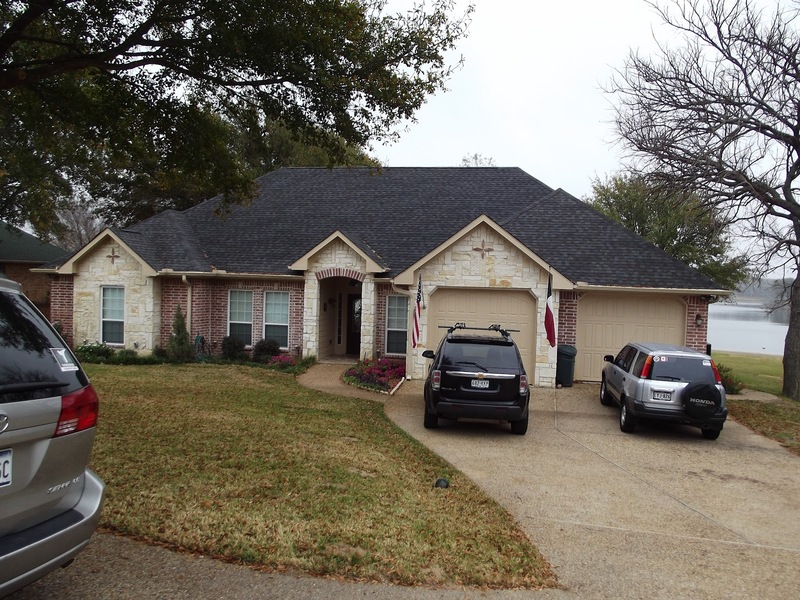 The hot blue expanse of Texas skies never really meshed with my idea of Christmas. I miss the mountains. I miss seeing my breath. And yet I’ve lived here for over ten years. Every other year, I’ve taken my brood to Kentucky, where we’ve experienced what I've called "authentic" yuletide seasons. 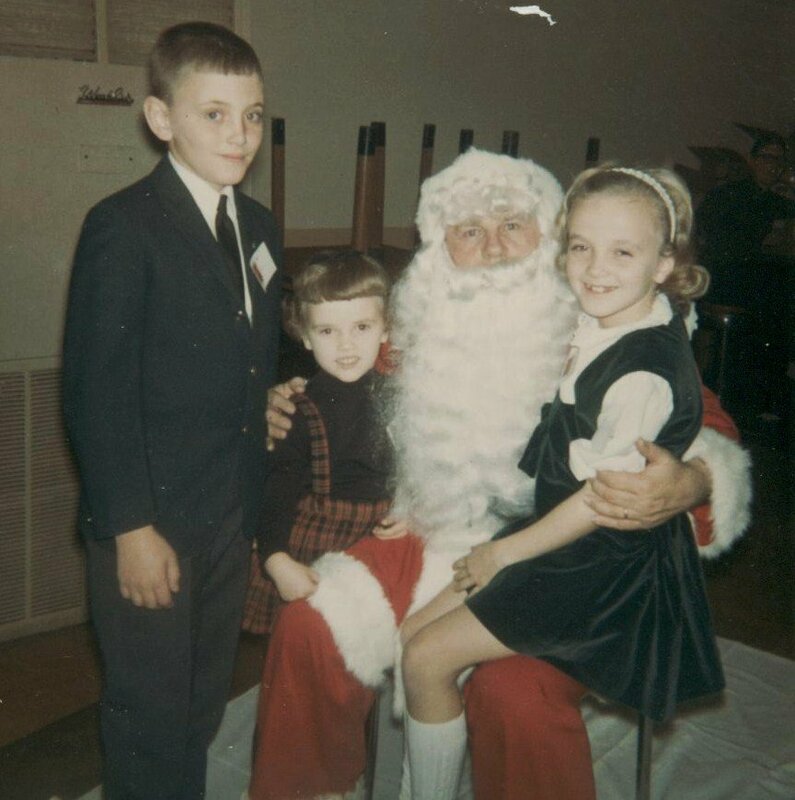 The log home was sold years ago, when the maintenance and remoteness of the house became too much for my grandparents to manage; yet we always had big Christmases full of lots of noise and egg nog and family cheer. This year I’ve had a hard time getting in the mood. We’ll be at my in-law’s house here in Texas for the week of the holiday, so I excused myself from decorating my own home. That’s right: no tree. Not one single spray-painted pinecone or sequined stocking. Not even one glittered Santa or gaudy brass candlestick shaped like Rudolph. Sunday night, a cold front blew through. Twenty-eight degree mornings. Frost on cars and winter coats with mittens. We even had a light dusting of snow. My younger daughter and I built roaring fires in the fireplace each night this week, and I started to get in the spirit of things. Then I realized I wasn’t really grumpy about the weather, or about Texas, after all. This is my first Christmas without my grandmother, who died October first. She was my last grandparent. 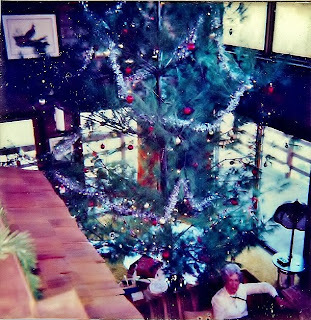 She was the one who loved those twenty-foot Christmas trees and that log house in the woods. Part of my bah-humbug attitude, that I was blaming on Texas, really was about the passing of time. I’d never have those Christmases again. My children know different traditions (one, if I am not careful, could be of their mother not decorating for Christmas). And although I am blessed to have healthy parents this Christmas, and I know that my daughters and extended family are healthy as well, somehow I know that without my grandmother, Christmas will never be the same. And so I pulled myself together. It was simple, really. I didn’t have to go all out. Stockings on the mantel, a little greenery on the open staircase. Some background Christmas music, and The Night Before Christmas propped open, ready to be recited, just the way my grandmother used to read it to my sisters and cousins and me, and later, to our children. I found a few special ornaments that once hung on one of those giant Christmas trees at Fort Henry and put them out where I could see them, even if I didn’t put up a tree of my own. Not yet, at least. 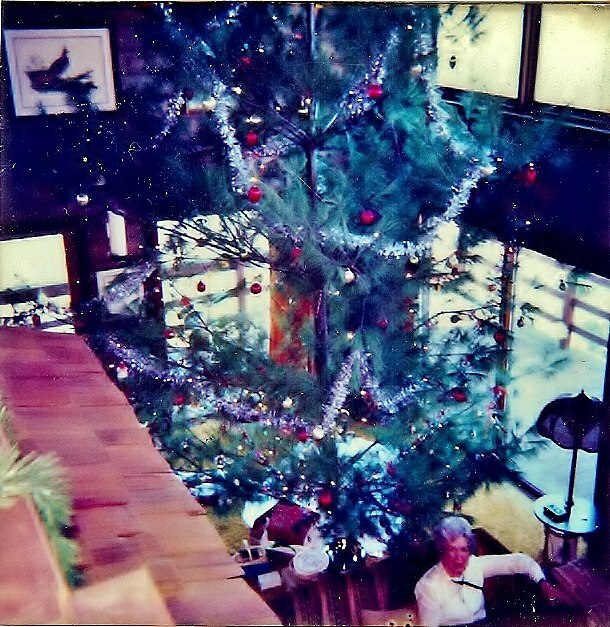 A Fort Henry tree, with my grandmother sitting in front. This morning, the weather in Texas is mild again. Not warm, mind you, just pleasant. And I remind myself that the season really isn’t about the weather, or about the big family celebration at the cabin in the woods. It’s about celebrating a season of kindness and giving and religious celebration. I’m going into the New Year with lots of hope. I’m also ending this year with plenty to be thankful for. And so I’ll forgive Texas weather for being what it is, and I’ll embrace my daughters instead. I’ll even forgive time for marching on—thankful that I’m left with such wonderful memories, even though I can’t have the Christmases of my past ever again. 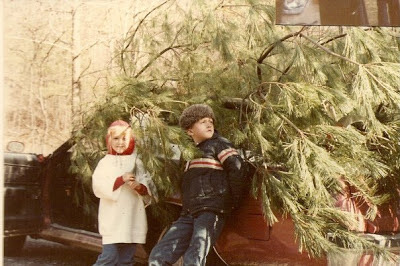 God-willing I’ll have plenty of great new Christmas memories before me, even if we are wearing T-shirts and shorts on Christmas Day. And even if I don't get a twenty-foot tree. MY GOODNESS! Time is flying! Really flying! 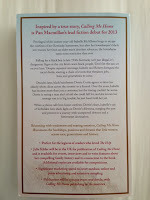 I can't believe today is officially two months until the U.S. release of Calling Me Home on February 12, 2013. My head's spinning, and many things are happening behind the scenes. Here's a few. TX: BookPeople, Austin, Texas, Saturday, February 16, 7 p.m.
TX: Blue Willow Bookshop, Houston, Texas, Monday, February 18, 7 p.m.
CO: Tattered Cover, Colfax, Denver, Colorado, Monday, February 25, 7 p.m.
WA: Auntie's Bookstore, Spokane, Washington, Wednesday, March 13, 7 p.m.
"Kibler’s unsentimental eye makes the problems faced unflinchingly by these women ring true. Love and family defy the expected in this engaging tale." "Kibler, in alternating first-person narrations, delivers a rousing debut about forbidden love and unexpected friendships over the span of six decades." The rest of the review is here. "I can describe this story only as a wonder. For me, maybe the book of the year... Julie Kibler has written a solid story about love and hate, fear and bigotry, friendship and trust, the value of communication and the tragedy of withholding, the mistakes of putting on airs, and the everyday foibles of parents and children, the young and the old. 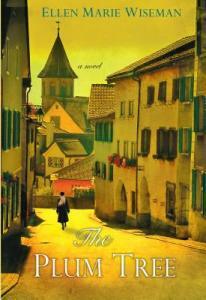 I can’t wait to read another exquisite novel by Julie Kibler." "While sellers may try to compare this to "The Help" - and yes, the storytelling rivals it - this is instead a love story. Powerful and gripping, you'll be surprised with the characters as the details of a forbidden romance unfold, changing two people and everyone else in their lives forever. Definitely pick up this book for your reading group, literature class, or a great read." The U.S. advance copies came out in September. Many folks are already reading them after giveaways through Goodreads, Bookbrowse, Shelf Awareness, not to mention copies sent by my publicist to various media outlets. UK advance reader's editions, or as they call them there, proofs, arrived on my doorstep in the last month and are absolutely gorgeous. The book releases there June 20, 2013, and I'm thrilled Pan MacMillan has asked me to travel to England to participate in the book launch there. It releases in Australia and New Zealand concurrently with the U.S. release. 1) Leave a comment here asking to be entered. I'll post the winner at the bottom of this post on Wednesday, December 19, and request your contact information at that time. I can mail the book only to addresses in the United States or United Kingdom. 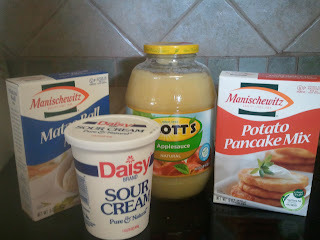 Please feel free to share about the giveaway on Facebook or Twitter or your own blog. The more the merrier! And again, let's be honest--the more folks who learn about Calling Me Home, the better the book will sell. In fact, if you plan to buy the book anyway, a pre-order helps a debut author more than almost anything else you can do. If you plan to buy it at an event, you can often pre-order the book through the store where the event will be held. Thanks for traveling this journey to publication with me. It's feeling pretty real these days! 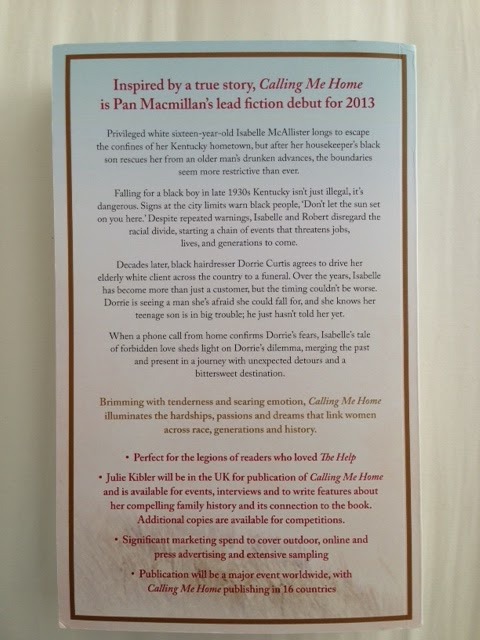 UPDATE: The winner of the UK advance readers' edition of Calling Me Home is Helen Kalmans, which is lovely as she was the very first person to enter. In this case, the early bird really did get the worm! I'll contact Helen via Facebook. Thanks so much to everyone who entered. I hope you'll be on the lookout for the book come February 12. 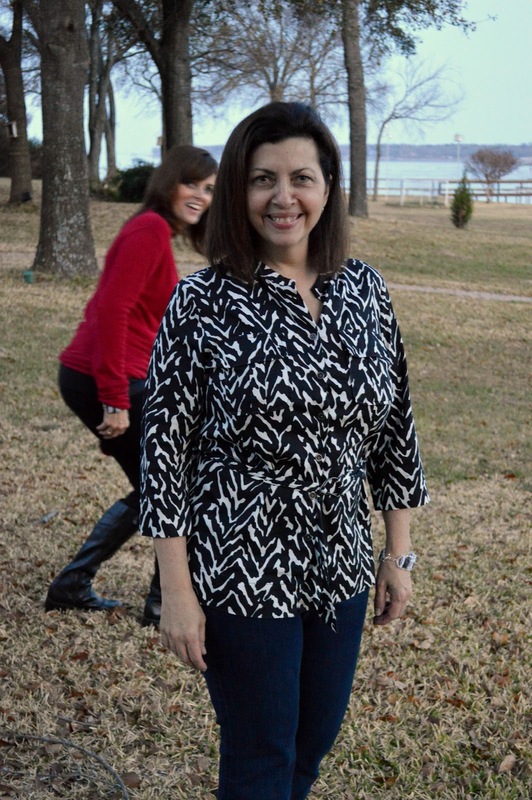 I can't resist photo-bombing Joan. Yesterday afternoon, I walked into Joan’s kitchen to place her bags of leftover food (there wasn’t much!) and said, “It seems like we just left.” Thursday afternoon I picked her up on my way to our retreat and, much too soon, it was over. For all the time we spend in preparation mode and for the hours we commune in each other’s company over the long weekend, the time goes by in an exhalation. Armed with food and wine, laptops and inspiration, we spent a wonderful weekend sequestered in a lake home where the television never blared, the phone rarely rang, and the world outside never demanded of our time and talents. Bliss. I asked my five writing women to share their retreat experiences here. For me, I savored the moments of quiet writing solitude interspersed between spontaneous, often-whispered conversations; read-aloud critique sessions; wardrobe selections (and malfunctions) during our annual photo shoot; dinnertime camaraderie and a surprise crafting session that resulted in bracelets that only we will wear and treasure. I know I’m already excited for what 2013 will bring for this talented group of women I’m so blessed to have in my life. Susan attempts to get some natural smiles from us. I have a way of setting lofty goals for retreats, and I seem to wake up each morning a little terrified and daunted by what's ahead of me. Thankfully, this year I had an extremely productive Day Two of the retreat that really made it worthwhile. I didn't get in my daily jog or morning yoga. In fact, I don't think I left the chair on Day Two… but I hammered out some good first drafts of scenes that will most likely make the cut. Besides the writing, I feel really good about getting away for a few days with this critique group. We are diverse, and opinionated, and maybe a little quirky, but somehow it always works! Another great retreat behind us! 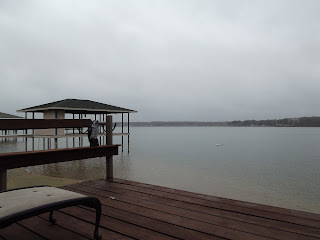 I loved exploring a new house and lake, and connecting again with my writing pals. There was wine and chocolate and coffee, good books, a great view and a hot tub we managed to forget about. I was amazed by new words from Pamela, Susan and Julie, struck again by the genius in our little group. 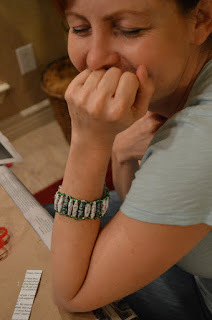 Julie and Susan surprised us with the sweetest craft during our retreat—beads made from the words of each of our books, plus other whimsical designs. For The Lost Legacy of Gabriel Tucci: musical notes, clocks, bicycles and geometrical designs. I will treasure it! But did I meet my goals? I'd be lying if I said I came away with my new story's nucleus, one character who has gelled into a shiny snowflake. But I did manage to brainstorm two great story lines and a clear vision of where they might lead. One is a more likely choice for my next project and another might be a perfect follow up. I love the writing life! 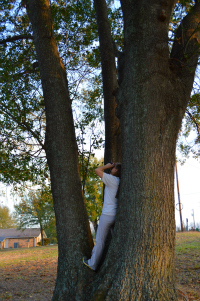 Kim is drawn into the trees. My goal for the trip was not about putting words on the page, but rather to refill the creative well. I spent all of one day sitting on the dock and sketching a portrait of my daughter. I love to draw, but never seem to allow myself time to do it if I'm at home. Another day I did research for my next novel, walked by the lake a lot, took photos, and had conversations with everyone. My favorite part of the retreat was definitely making my bracelet. I love knowing I can now literally wear pieces of everyone's manuscript. It was also interesting to partake in a traditional Jewish meal and watch Joan light the menorah on the first night of Hanukah—I think that was a new experience for several of us. I headed off to this retreat without a specific goal other than to feel like it was a good use of my time and resources by the end of the weekend. Loosey-goosey, I realize and agree, but it seemed like the best choice for where I am right now. And it turned out to be precisely the right course of action. If I’d had a set goal, I would never have accomplished what I did this weekend. I’m still holding details close to my vest (you can ask the other five WWW women how vague I am about what I got done), but I completed a satisfactory amount of work, and the quality of the work was beyond satisfactory. To say I am immensely pleased is not an overstatement. And I still had time to read most of Rachel Simon’s The Story of Beautiful Girl, and it gets several thumbs up); enjoy the lake by both walking its shore and admiring its birds and swells over coffee on the dock; and to bask in the company of my writer buddies. Really, what more could I ask for? Chocolate, you say? Peanut butter cookies? Apple turnovers? Check! Another wonderful time of food and fellowship. I managed to write an essay for an upcoming guest post and solidify my novel-in-progress a little more, and I continue to feel excited about this new story. 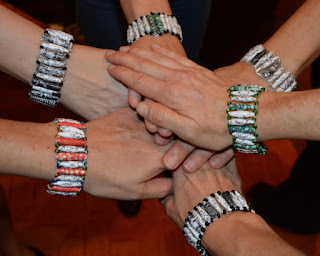 It was wonderful to be back together with my What Women Write friends as it seems as if we've been scattered to every corner of the universe this year. Laughing around the delicious dinners we planned and prepared in pairs, watching the apparent disaster then miraculous completion of our manuscript bead bracelets (including some surprising expletives muttered over tangled wire and unraveled paper beads), reading and critiquing bits of what we'd worked on this weekend, our traditional group and individual photo shoots, and quiet one-on-one chats reminded me how very special this group is to me. Five years ago, I longed for such a group, and resigned myself to believing it would never happen. Boy, did it happen. I’m writing from our 4th annual What Women Write retreat! We’ve chosen a different location each year and have found all houses come with their quirks. Our house was comfy enough the first year, but it creeped us out a bit that the owners remained on-site, albeit sequestered to a little apartment within the house. Year two we had a lake house that worked well other than a couple of uncomfortable beds. Last year we crammed into a house set up for scrapbookers instead of writers. 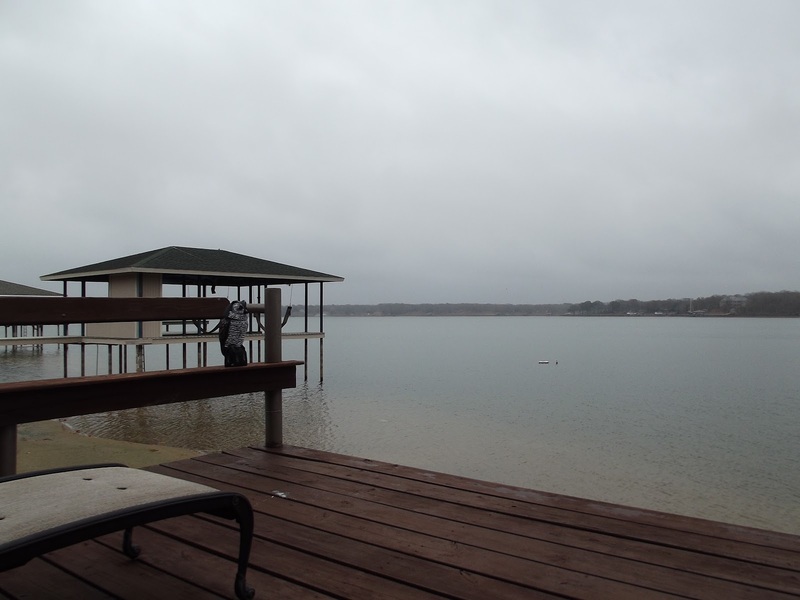 This year we have another lake house, and every one of us walked in and exclaimed this would be the best one ever. 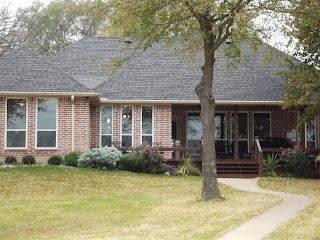 It is gorgeous, there’s a view, a hot tub and a great den with comfy recliners. What it lacks are quiet places to hide for those of us with deadlines or lofty word count goals. Julie and Susan’s enormous closet may get some use this weekend. Last year, I would have taken over that space immediately. This year I have no word count goals. My manuscript is in the query process and the most work I intend to do while here is some research for my next novel. I may draw or paint a bit, too. And read, of course. Susan has her feet up in a recliner, computer on her lap, pen held between her teeth, and she appears deep in thought. Of all of us, she’s the one under the most pressure this year with a self-imposed deadline to send major revisions back to her agent. I suspect she’ll need that big closet soon, or perhaps she’ll go sit at the end of the dock. Yes, it’s December, but this is Texas and she’s tough! Julie has the couch here in the den and is also typing away on blog posts and interview questions in preparation for the February lunch of her debut novel, Calling Me Home. (Have you pre-ordered your copy, yet? If not, you should, because it is fabulous.) She claims the house will be a lot quieter this year because she has no time to carry on conversations. Elizabeth is also typing away. I heard whispers about a short story last night, which may or may not be true, but she was the last to bed and the first to rise, so ideas must be swirling around in her brain. Maybe she'll share them when we do critiques. Joan has the living room to herself at the moment. The last time I glanced at her computer screen she had her completed novel open, or maybe the synopsis. I know that, like me, she plans to brainstorm ideas for her next book. Both she had I are querying right now and pray for a rejection-free weekend. I’m not entirely sure where Pamela is – I believe in the bedroom she is sharing with Joan. She has a deadline on an article and so is having to work a bit on her paying gig before she can open her manuscript. Check back at the blog next week and you’ll see several of us weigh in on the retreat. 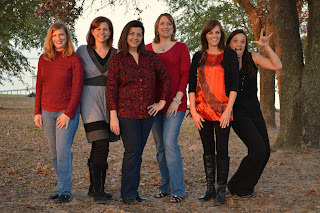 Pamela will likely have given the page a facelift with our new group photo as well. Luggage is being packed, snacks and ingredients loaded into bags and coolers, and all of us are itching to put on our comfy pants and get to work. Our annual retreat is something we all look forward to. And it's not only the chance to work uninterrupted by kids and chores and work and life--it's also the house, the fellowship, and the food! 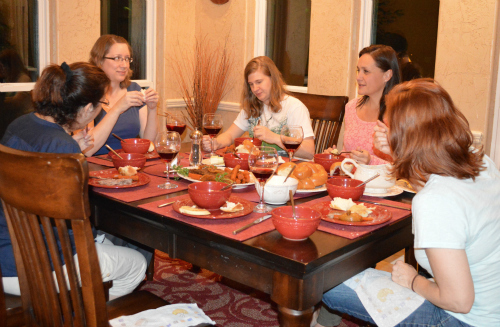 Each year we prepare dinner in pairs and the feast is always wonderful. This year we will enjoy chili and cornbread courtesy of Julie and Susan; roasted pork loin with baked potatoes served up by Joan and Pamela; and since Saturday is the first night of Hannukah, Kim and Elizabeth are fixing matzoh ball soup, brisket and latkes to celebrate. Desserts haven't been disclosed yet, but hello? Are we not six women getting away? It goes without saying that our collective sweet tooth will be satisfied. I always look forward to our annual retreat and this year is no exception. While I anticipated having a first draft completed, to read through and begin editing, such is not the case. Instead, I will spend most of my time in anti-social mode (except for meal times and late-night sharing) so I can put words on the page. I have a lofty goal of 5K words while there. Let's see if it happens! Plus I'm eager to get a new photo of us to put on our blog masthead. Since I am querying a manuscript, I intend to start researching for my next book. I also plan to read for fun, relax and enjoy escaping my normal routines. I may bring a sketchpad or even paint and canvas so I can “refill the creative well” in a way other than writing. I love to draw and paint, but when I’m home I always have so many other things more pressing to do. Of course, I also look forward to socializing with my What Women Write tribe. I'm planning to get some words on the page while I am there! But I'm going to make my goal conservative rather than ambitious. I'm in the process of determining what my next computer will be--mine is dying, and the laptop I have is even worse--and so am contemplating a longhand weekend. I'm pretty sure Santa is bringing me some really nifty new technology to help with my writing, but far be it from me to rush the elf to have it for the retreat. But I have to say, mostly I hope to recharge and come away rested and enthusiastic and ready to finally finish up this WIP so I can get it ready to query by the spring. 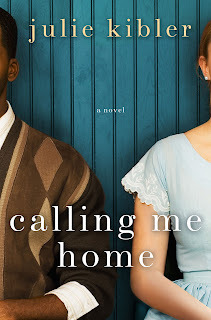 My brain is already going haywire from all the tasks on the table as I count down to the U.S. release of Calling Me Home. (Two months and 7 days!!!) I will likely spend much of our retreat time writing essays and answering interview questions for bloggers and writers' sites who have already generously offered to host me in February. I also hope to create a solid outline for my new book project, begun during my strange November (remember how I quit and started over?). I'm really excited about the new story and how it's coming along. My characters are strong, and their voices clamor for daily attention, I've set a good chunk of words on the page, and I think it's time to make a road map. As usual, I'm also predicting I'll do a lot of wandering around, grazing on snacks, and otherwise distracting my fellow What Women Write members! That's my specialty. My goal for the retreat: Frame my next book! I’ve never been a snowflaker, but right now there are loose ice crystals spinning around my head. At the heart of every complex snowflake is a nucleus, my as-yet developed character. Armed with the memoirs of strangers, yellowed family letters, photocopies of my grandparents’ Ellis Island registry, the decaying bones of a buried manuscript and various articles on art and life and immigrants, I will sequester myself in a cubby somewhere and dig in. By the end of the weekend, I hope to have formed one cohesive, sparkly flake. And several twinkling floaters. I’m excited about our evening critiques and book swap. And of course, I’ll make time for wine and hot-tubbing. 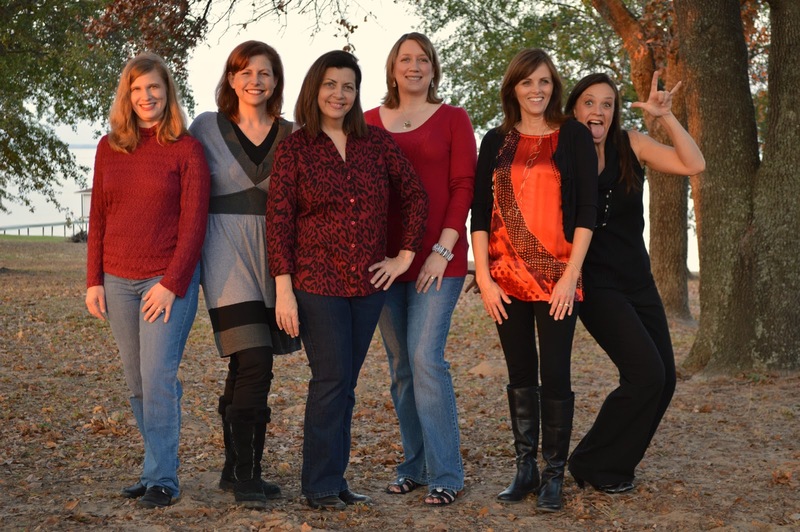 I love our retreats… I have our three framed group shots on my writing desk and look forward to adding the fourth. Your faces--and the years we've investing in writing, critiquing and blogging together--keep me accountable to my words. At last year's retreat, I was querying agents. This year I'm blessed to have signed with an agent and am working my tail off to complete the final draft so we can submit it in early summer. Like Pamela, I'm going into this year's retreat with great ambition. Not only for word count, but for structure and organization. I have a lot of work to do and can't wait to dig in! There’s something otherworldly and enduring about lighthouses. From snug lookouts, weather-ravaged men communicated with ships while stirred-up oceans slapped the shore. What type of man lived and breathed the ocean this way? When I saw this cover, I knew I must read this book. 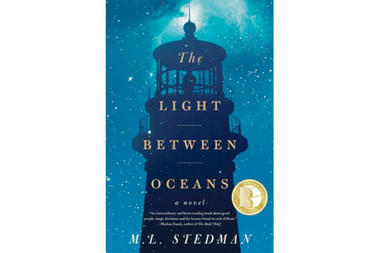 In The Light Between Oceans, M.L. Stedman draws the reader into the personal world of one such man. Tom Sherbourne is a medaled veteran of The Great War, a man of principle and character who dragged men to safety and always followed the rules. He’s grateful for a job manning the lighthouse on Janus Rock, a remote peninsula off Australia’s coast, where he can methodically work and live his days in order and sameness. On a trip to the mainland, he meets the lovely, spirited Isabel, and returns to Janus Rock with her to carve a life. There she loves and cares for him, explores the small island, and longs for children. She miscarries twice and Tom would do anything to see her happy again. One day, mere weeks after delivering a stillborn child, a small boat washes onto shore. Inside is a dead man—and a live baby. Isabel views this as a sign from God. Despite Tom’s insistence that they report the man and baby, Isabel protests. The mother is surely dead, the baby has no one but them. Tom loves her beyond measure and agrees to wait. The gravity of their decision weighs on him, but the problem is, he falls in love with the little Lucy, too. Two years later, when visiting the mainland, they learn someone has never stopped looking for the little one, whose name is not Lucy at all. Rarely does a novel come along that is so perfectly crafted, so packed with flawed, believable characters. Every word, every scene, has a purpose. The plot twists and bends to unexpected places, thrusting the characters into situations as rough as the raging ocean. Ms. Stedman is a masterful storyteller, has a keen eye and knows how to portray raw emotion on the page. I listened to the book on audio, read by the wonderful Noah Taylor, who truly brought the characters to life. What a stunning debut. Highly recommend!